Using the iPad in storytime can be a very simple way to promote STEM. Duck Duck Moose is one of my favorite app developers, and this is a great app that promotes math skills for the very young. 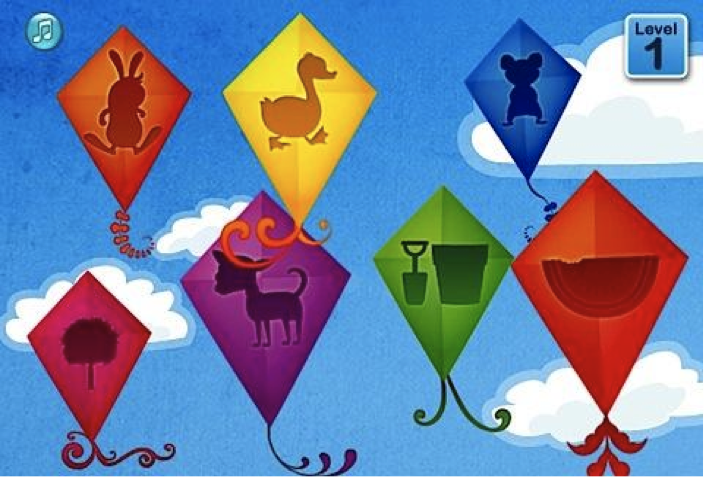 There are a number of cute activities included in the app, but the one that could be used in storytime to emphasize pattern recognition is activated by tapping on the green kite (unfortunately, the activities are not labeled). You can hold the iPad facing the children (or project it/mirror it on a screen if you have the required equipment) and discuss the pattern that is displayed on the top half of the screen. Then ask the children to tell you what object would complete the pattern. 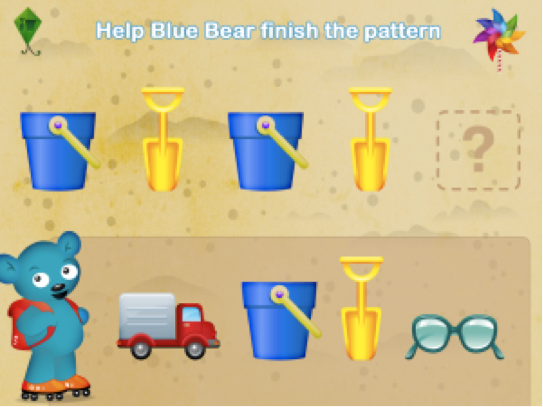 The app starts out with simple patterns like the ones above, but there are slightly more difficult patterns included as well. For more ideas on how to incorporate apps into your storytimes, check out my blog, Anne’s Library Life. Posted on June 17, 2013, in Apps, Story Time and tagged Anne Hicks. Bookmark the permalink. Leave a comment.